We think that a good cup of tea can transport you to someplace special. 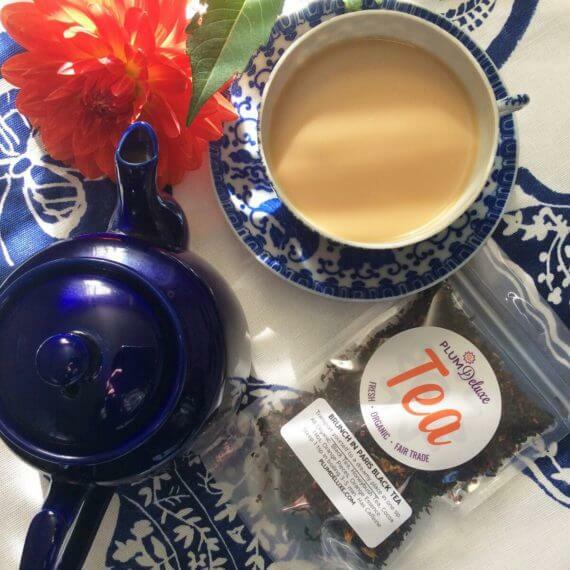 And that’s what we had in mind when we created our fresh, flavorful blend of chocolate orange tea. It reminds us of brunch in a fine cafe in Paris, the city of light, where it isn’t hard to find a good orange black tea with chocolate. I drink this one when I want to feel fancy. Also I just love anything orange and black tea! This is a beautiful bold tea. I would call it the coffee of teas. I love how flavorful it is. If you want a jolt of intense flavor this is your cup of tea. I just love how robust it is. If you want stubstance in your tea. This is it! Just wonderful! ...I'm gonna drink this tea and pretend! This is one of my "treat" teas and goes well with afternoon or evening biscuits or chocolate. Treat yourself to this one! This is the first tea I have ever ***** (and I am a long time tea drinker) that has such a full satisfying flavor that I crave it as a snack. I will be ordering more for sure. 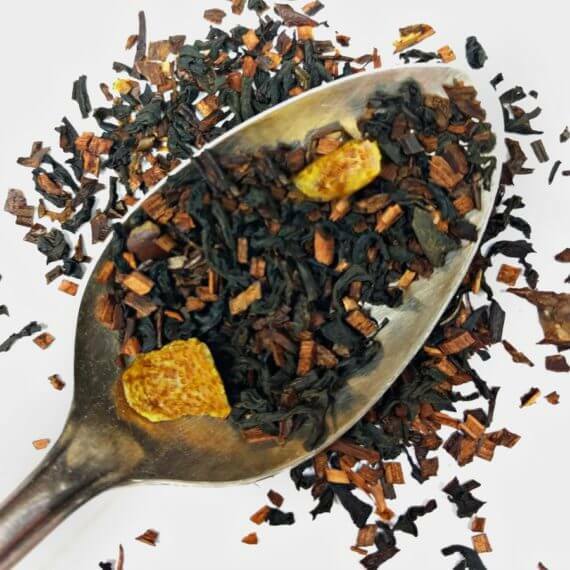 All-Organic Ingredients: Black Tea, Honeybush Tea, Cocoa Nibs, Orange Pieces, Orange Essence. Love, Gratitude. Preparation Instructions: Steep 1 tsp in 8 oz water approx. 4-6 minutes. Because we use the freshest ingredients, you can steep your tea twice for a second cup. Suggested Uses: Steeps up a wonderful cup by itself, and great with a splash of honey and milk.